A tough Revenue crackdown on fuel smuggling and laundering is now underway. This month sees the introduction of a new fuel movements e-reporting system for all petrol, diesel and oil traders. Date, quantity, invoice, supplier details for each fuel stock movement inwards. Similar details for each fuel stock movement outwards. Aggregate details for forecourt fuel sales. Aggregate details of sales to domestic customers and smaller commercial customers who receive less than 2,000 litres per month. All Auto Fuel Trader’s Licence and Marked Fuel Trader’s Licence holders must now be registered on the ROS system and must use ROS to file their ROM1 returns. 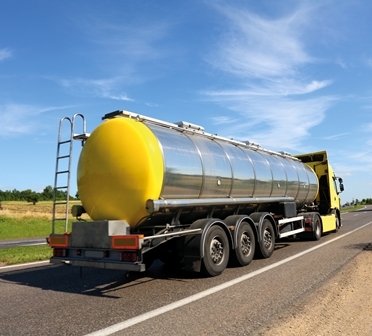 The requirement for traders to report each individual movement of fuel is intended to make it much harder for illegal fuel smugglers and launderers to market their product through legitimate fuel retailers. It will now be very easy for Revenue to match the dispatch of each fuel consignment from a wholesaler or warehouse to its receipt by forecourt retailers and end users. Tax officials will also be ready to pounce if and when they notice unrecorded fuel movements along the public roads and where unexplained gaps or anomalies within traders’ returns indicate a risk of illicit behaviour. The ROM1 system represents the latest strand of Revenue’s Strategy for combating the illegal oils trade, and follows recent lobbying by legitimate petrol retailers for action to stamp it out. I expect that it is also an indicator of Revenue’s likely strategy to combat tax evasion and other business criminality in the future. With a vast, and ever-expanding, range of Big Brother-style technology at their disposal, it is now easier than ever before for Revenue to monitor and detect all illicit business activity – and it’s only a matter of time before the criminals and dodgers have nowhere left to hide. I was delayed in a petrol station queue last Friday while the lady behind the counter asked a delivery guy for loads of figures along the lines of the above. Now I know why!